Nails 4 Dummies! 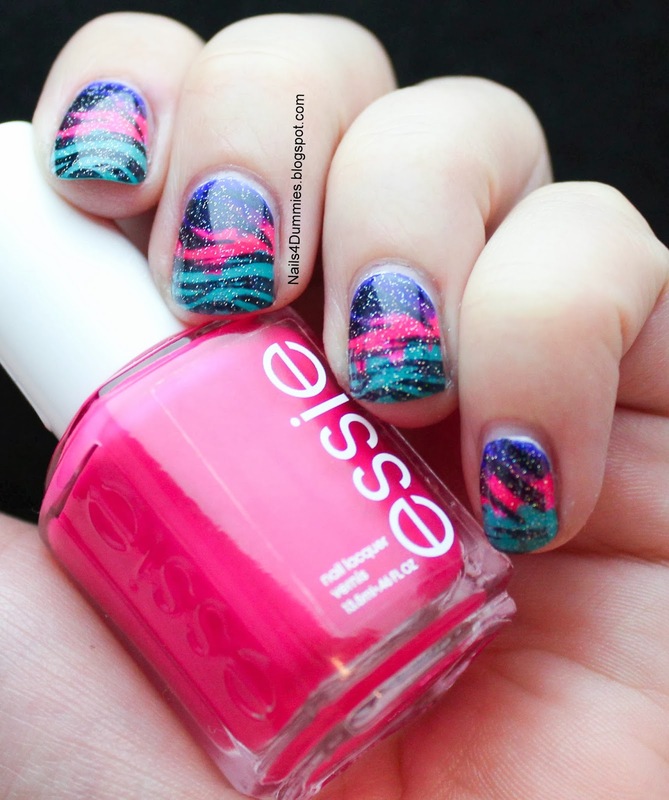 : Bright and Beautiful "Gradient"
Hey there sweetums! How is everyone after Thanksgiving, still in a food coma?? I had such good food AND I got 4 days off of work!! It was so awesome that I don't know if I'll remember what to do when I go back. My husband and I actually got to go on a date! We went out to dinner at HuHot and then we did some Christmas shopping at TJ Maxx. Then I went into Ulta and my husband bought me the Be Merry Be Bright palette for my bday which is coming up on the 11th. All of you, please, feel free to shower me with gifts of polish, makeup, candy and jewelry! Alright, finally on to what y'all came here to see - mah nails! These were SO fun, quick and easy! I started off with a base coat of Sally Hansen Xtreme Wear - White On so that I would only have to do one coat of the colors and they would really POP! I wanted the "gradient" to be kind of rough and didn't really want it to blend so I just used the polish brushes and haphazardly added the colors to 1/3 of the nail. At the base of the nail is one of my favorite polishes, Barry M - Indigo. Then comes one of my new polishes (new to me!) Essie - Bottle Service which is a beautiful, rich, pigmented pink! Finally, I added China Glaze - Custom Kicks. 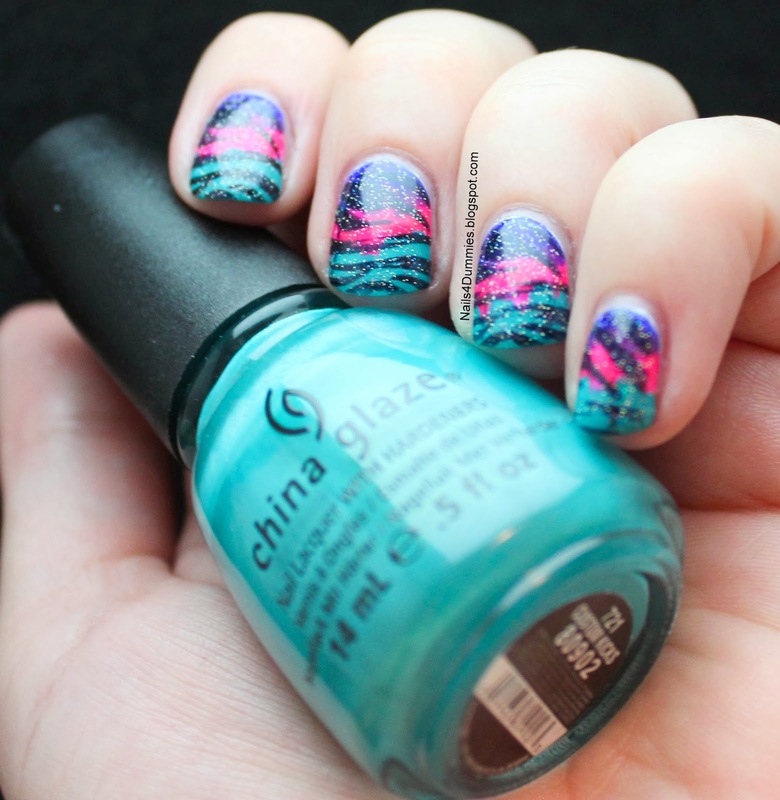 This is a fabulous, creamy bright teal! 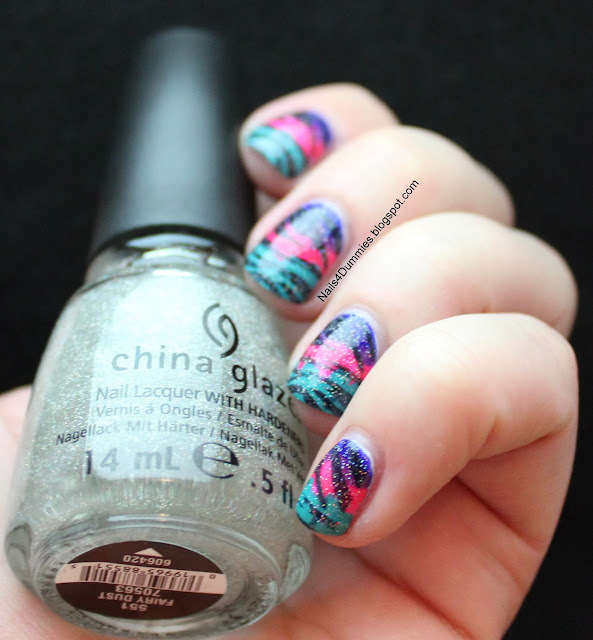 I stamped over my "gradient" using Konad Black and Cheeky Jumbo Plate 9 - Wild At Heart. If you like stamping, you seriously need to check out these Cheeky Jumbo Plates, they're freaking adorable! I only have three for now but plan to add to that eventually! 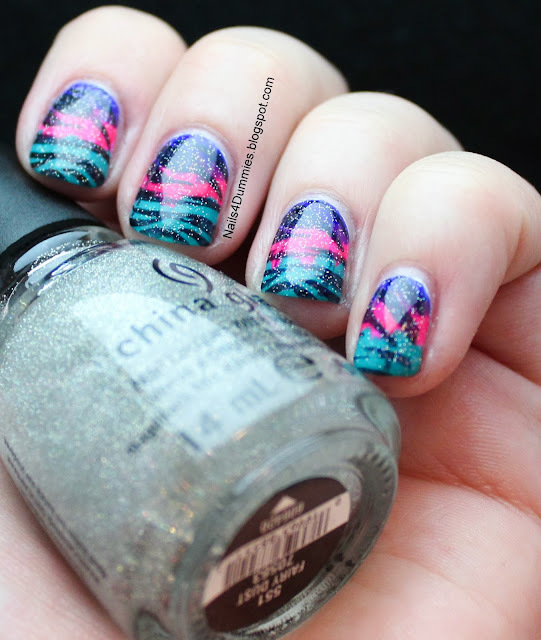 Then, of course, I had to top it all off with a coat of China Glaze - Fairy Dust. What do you think? This was one of my faves and it even lasted 4 days before I finally took it off and it still didn't have a chip in it - that's a major record for me! You love it, don't you?? I know you do! 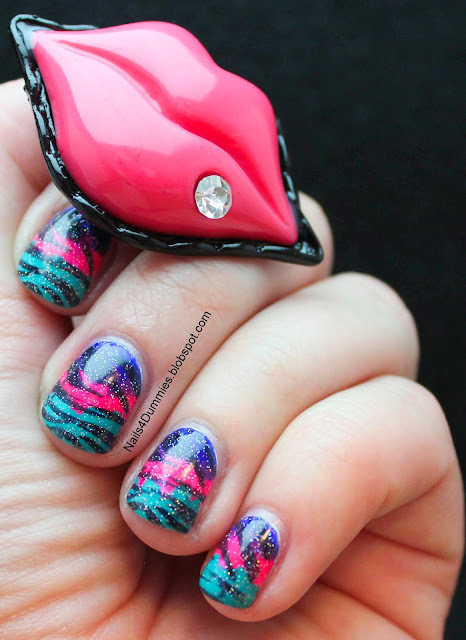 Go ahead, comment and tell me how much you adore me and my fabulous nails! I seriously love each and every one of you that takes the time out of their busy, crazy lives and reads my little blog, it honest-to-goodness means a lot to me! If you're wondering why I keep putting the word "gradient" in quotations, it's because there's really nothing gradual about this gradient, it's more of a splat of colors. So now you know, your life is complete.